Don’t let obstacles or twisted hose slow you down — keep your operation flowing with Puck’s hose movers. The HM8 and HM9 help you navigate rough terrain and increase your efficiency, extending your 40-acre set into a 240-acre set without shutting down. Whether you’re smoothing out a hose or moving it into position, our hose mover is a crucial part of your fluid transfer operation, simplifying your job in the field and extending the life of your hose. A hose mover can work as an extra set of drags, minimizing strain on your hose and keeping you on track. Avoid common problems in the field by moving hose over terraces or tile inlets, and smoothing out pinches in the hose. Puck’s hose mover keeps you out of trouble in the field, preventing maintenance down the road. The ability to move hose while the applicator is at work means you can cover every acre, saving you time and extending the amount of territory you can cover in the field. 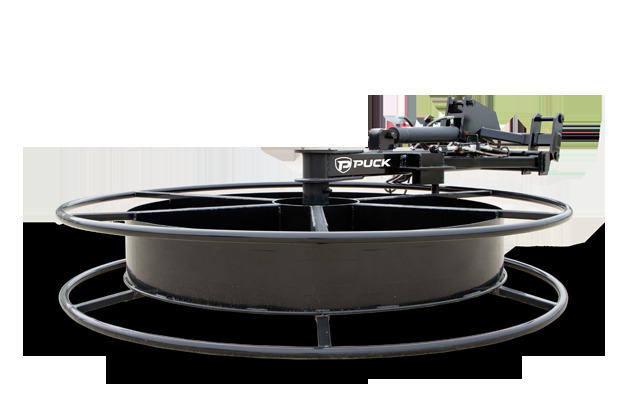 Puck brings you smart, efficient performance. With good hose mover practice, you can keep the pumps running and avoid unnecessary downtime — saving you precious time during the busy application season.